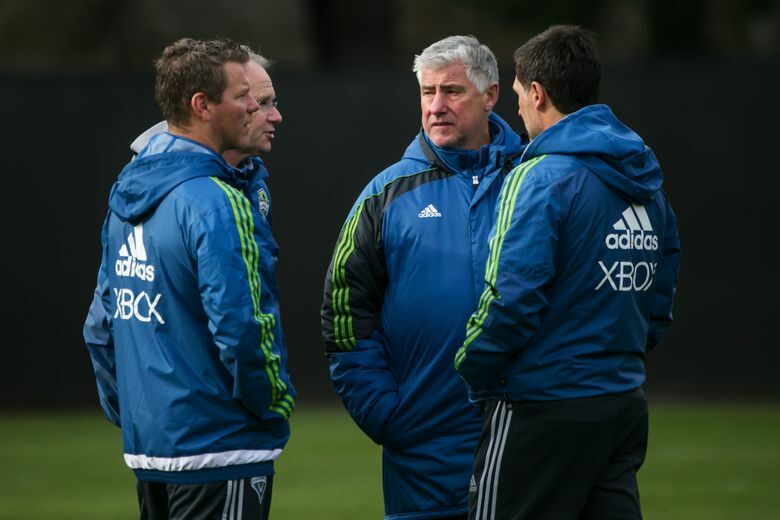 What’s next for the Sounders after Sigi Schmid’s departure? Is the departure of Sigi Schmid a clean break with the ethos that brought Seattle so much consistent success over so many years? What would a comprehensive rebuild even look like? That’s where general manager Garth Lagerwey comes in. The Seattle Sounders needed to make a change. Even longtime coach Sigi Schmid, asked Thursday whether the club’s decision to part ways earlier this week was truly a mutually one, ceded that much. “It was probably the right time,” Schmid said, after a contemplative pause. A tenure of 7½ seasons is an eternity in professional sports. Major League Soccer is a drastically different world than the one the Sounders entered in 2009. Trusted players age. Preferred styles of play go in and out of fashion. The decision to break things off with Schmid was not a knee-jerk decision, owner Adrian Hanauer said Tuesday, though last Sunday’s limp 3-0 loss in Kansas City might have sped up the timeline. But besides a momentary uptick toward the end of last season, this is a team that has struggled, badly, for more than a year. The question now becomes whether that move triggers a remodel or a complete overhaul. Is this a clean break with the ethos that brought Seattle so much consistent success over so many years? What would a comprehensive rebuild even look like? That’s where general manager Garth Lagerwey comes in. 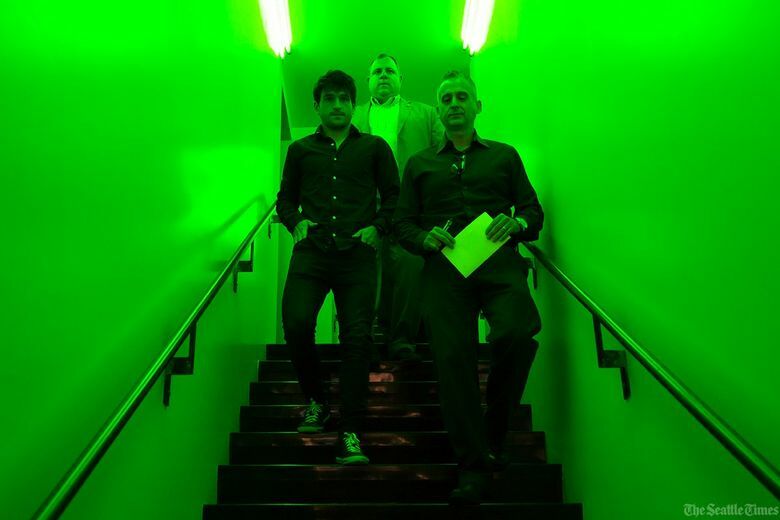 A season-and-a-half into his Sounders reign and in the wake of one of the most tumultuous weeks in team history, Lagerwey has an opportunity to sketch out his blueprint for the future of the club. 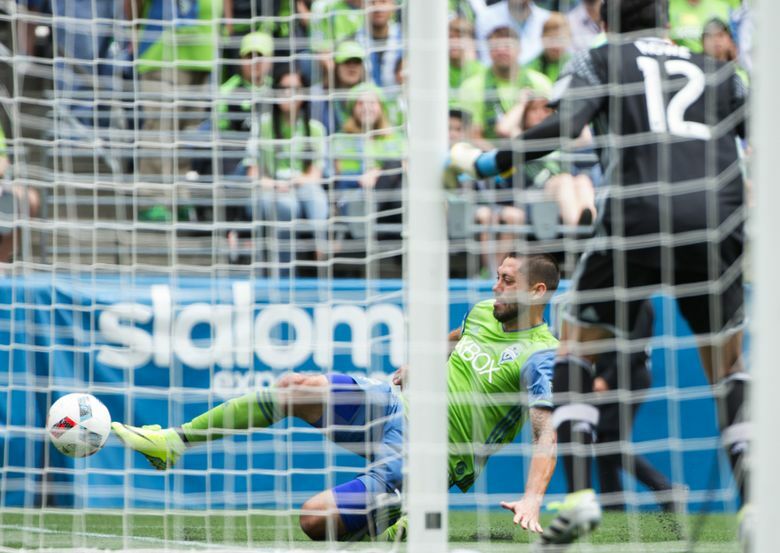 The Sounders (6-12-2) sit 10 points out of a Western Conference playoff spot with 14 matches remaining. To reach 48 points, the typical demarcation line for postseason qualification, Seattle would have to average two points per game for the rest of the way. But the news of this week should not necessarily be interpreted as a white flag. “I see no reason to give up on the season, particularly when we believe that we’re going to get better than anybody else will in the summer window,” Lagerwey said. The Sounders added Nicolas Lodeiro as a Designated Player on Wednesday and another Uruguayan midfielder, Alvaro “Flaco” Fernandez, as a complementary part one day later. Center back Roman Torres is expected to complete his rehabilitation from a torn ACL within the next couple of weeks. The next three months could have more bearing on the future of the Sounders than any stretch in the club’s MLS history. “The ingredients of change have been sown,” Lagerwey said. “We have enough good young players right now who have begun to get minutes that will be that much better next year and that will be relatively inexpensive. That is sort of Course B. Course A, we would love to keep most of this team and continue with it. “This is the truth: If we succeed and we make the playoffs, then a lot of guys get to keep their jobs. If we miss the playoffs and don’t show a lot of progress, then we’re going to change a lot of stuff. “We wanted to give this group one last shot. That’s why we’re adding three players (including Torres) in the middle of the season even though, to an outside observer, it might look like a lost season already. One does not need to be especially fluent in reading between the lines to get the implication of that last sentence of that quote, nor the second part of Schmid’s answer when asked whether the break was truly mutual. The end of Year Six marked the end of Hanauer’s tenure as general manager, the then-minority owner stepping aside to focus on the business side of the organization. In his place, the Sounders brought in Lagerwey. On paper, the marriage made a lot of sense. Lagerwey had helped turn small-market Real Salt Lake into one of the league’s most respected clubs. The Sounders had greater resources and a brain trust that had produced its own consistent winner. Throw it all together, press blend and voilà, MLS Cup. In practice, it hasn’t quite worked out that way. Lagerwey took responsibility this week for not moving quickly enough in replacing Obafemi Martins when the star forward left for the Chinese Super League on the eve of this season. Any time a team parts ways with the coach, he said, it is the front office’s fault for not giving him the tools necessary to succeed. But it had been unclear throughout last summer’s spending spree who, exactly, was calling the shots behind the scenes. Forward Nelson Valdez and midfielders Andreas Ivanschitz and Erik Friberg were all signed from Europe — none of whom meshed with Lagerwey’s oft-cited desire to make the Sounders a younger, leaner team, all of whom came attached with the telling caveat that they’d been scouted by a front office that pre-existed the new GM. Asked to elaborate a few days later, Lagerwey was even more pointed: “What every manager fears — what they truly fear — is responsibility without authority. So, taking Lagerwey’s hypothetical Course A, the Sounders have three months to turn the season around. Should it come to Course B, however, this is going to be quite the busy offseason. It is easier to dramatically overhaul a roster in MLS than it is in other sports leagues, due to the relative rarity of guaranteed contracts. Only seven Sounders are on deals that are guaranteed through next season, Lagerwey said, offering that exact figure but not specific names. There are a handful of legitimate young building blocks — forward Jordan Morris, midfielder Cristian Roldan, defenders Joevin Jones and Oniel Fisher. Rookie center back Tony Alfaro is still relatively unproven but has been impressive when called upon this season, and winger Aaron Kovar has established himself as a valuable rotation player. Clint Dempsey remains a central part of Seattle’s plans, Lagerwey said in no uncertain terms, even if he has struggled to carry over his goal-scoring prowess with the U.S. national team into league play. Age is less of a concern for goalkeepers and center backs, Lagerwey said, positions where feel for the game can make up for lost athleticism. But as for the rest of the group … well, it would behoove them to pursue Course A. There is little question about the chain of command that led to this summer’s pair of midseason acquisitions. The Lodeiro signing, sink or swim, is on Lagerwey. He did not hesitate to take responsibility for the addition, nor to attach all kinds of symbolism to the attacking midfielder signed from Argentine powerhouse Boca Juniors. That Seattle targeted a playmaking midfielder is reflective of a changing league. Look at the short list for Most Valuable Player at this season’s midpoint: Portland’s Diego Valeri, NYCFC’s David Villa, Dallas’ Mauro Diaz, Montreal’s Ignacio Piatti, Sacha Kljestan of the Red Bulls — besides Villa, creative midfielders all. When the Sounders entered MLS, teams were limited to one Designated Player apiece. Now, each squad can have up to three. The league added the unnecessarily complicated-sounding Targeted Allocation pot of money into the market last summer, encouraging increased spending on players just below the DP threshold. “From a numbers perspective, the gap has closed dramatically,” Lagerwey said. “If you have five elite players in Seattle, well, you have five elite players at Salt Lake, too. You need to do things differently and more efficiently. There’s a lot less you can get away with. I’m never going to say, ‘You have to play this way or that way, in that system or that formation.’ What I’m asking, for us, and I’m directing, as the leader of the organization, is saying, ‘We need to have an identity.’ From an identity will flow system, tactics, formation. “Philosophy matters. As the league evolves and the Sounders evolve, those things are going to be critically important.